Michael was thorough and diligent when inspecting my house. I would easily recommend him for anyone in need of a home inspection. Services they provided: Home inspection, radon test, pest inspection and mandatory well test. The appointments were set up very quickly and Lisa was able to set those appointments around my very busy schedule. Michael is very knowledgeable and he performed very thorough home inspections. He also took all the time needed to explain the deficiencies he found to me. The reports were also available promptly. I am a municipal building inspector so I know true home professionals when I meet them. It doesn't get any better than Granite Inspection Group! Being a first time home buyer I didn't know what to expect in a home inspection report. I was surprised when I received a 53 page report from Michael's inspection. It was detailed and thorough. He made it clear that he worked for me and the report was for my use and that I should disseminate the information in any way I saw fit and to whom I chose. From my initial call the the Granite Inspection office (which was friendly and professional) to the follow-up phone call with Michael, I couldn't have asked for a better experience. I highly recommend Granite Inspection Group and will use them again. My attorney highly recommended using your services. I truly felt as if you were looking out for my best interest. I will never buy a house again with out your inspection services. Experience with Granite inspection group was very good. Lisa was efficient in scheduling the appointment, even calling the day of to see if I wanted to move the time up. Michael was thorough and generous with his time to answer my questions. Let me start with Lisa ,from the 1st time she picks up the phone, she makes you feel confident, and she will make sure that if you have any questions before you actually make an appointment she will give you the best answers . Lisa is excellent and very knowledgeable explaining the process, and more for me and my husband, first time home buyers. Then we met Michael and let me tell you it was beyond our expectations. He explained to us every detail in such a way that was very easy for us to understand. He did and exceptional work, and we are very satisfied and also he gave us great tips . Michael helps us to understand better all our concerns.He really knows his work, very pleasant person. And about the report very detailed. THANK YOU LISA AND MICHAEL WE ARE VERY HAPPY COSTUMERS. Michael performed a thorough home inspection and provided a detailed report. Would highly recommend his services! Michael and his office were outstanding from the start. He was quick to respond to my request for a commercial inspection on a building I am considering buying. We were able to quickly set up a day and time that fit the schedules of everyone involved. The inspection itself went smoothly, a few things that myself and my partner needed to know. Michael was professional and thorough. He took his time to explain what he was doing and why. Also when he found an issue he explained what was wrong and what it should be. At no time did he try to push himself or anyone else for repairs. I honestly feel that he cares for his clients and is doing his best for them. He is not looking to please an agent to get referral work or to make friends. This only makes me more comfortable taking his findings as the truth. He has no other objective but to do his job well which is to protect potential buyers. I would use him again and recommend him to anyone looking to have an inspection done. I could not be happier with my experience I had with Michael and Granite Inspection Group. The inspector was very informative, helpful and kind. I would most definitely choose GIG for future inspections. Overall 10 out of 10! Having Michael inspect "our" cabin in the Gunks was a valuable and enjoyable experience. In addition to making a thorough inspection of the property he offered us excellent advice about future maintenance opportunities. I wouldn't hesitate to recommend Michael to anyone needing a home inspection. I would highly recommend Granite Inspection Group. Michael is fantastic, very thorough, and very knowledgeable on all aspects of the home as well as the landscaping around the home. He was also top notch in regard to safety issues and concerns. He's the best!!!! Extremely thorough and meticulous. Highly recommended for first time buyers. Provided forty page building inspection report. First class service. Very friendly and informative. Michael was thorough and helped walk us through each step of the inspection. As first time home buyers, it was nice to have all questions answered with a smile. Thank you! Great experience with Michael. He is professional and offers great advice during the inspection to make your house purchase "buyer aware" and offers suggestions for remediation's. I highly recommend Michael and Granite inspection group. This was the most comprehensive detailed inspection and inspection report we have ever had. The inspection report was received in a timely manner with all itemized details in easy to understand format. Had them do my radon mitigation in Spring of 2017. Very professional and prompt. Job was done in time frame promised. I was very happy with the work that was done. Everything was neat and clean. Michael went over exactly what he wanted to do and made sure it was ok with me before he started the work. After installation he then ran a test for couple of days to make sure radon level is within acceptable limits. I would definitely recommend them. We've used his services twice........ and have been very satisfied. Michael is great! He is extremely thorough, and the report he wrote for us was meticulously detailed. He's very patient and answers all of our questions as we walk through the home. We've used his services twice, and have been very satisfied. Our inspector was outstanding, personable and looked out for our best interest! He was extremely thorough with the job and in answering our questions and concerns. Would highly recommend them again! Michael Christophides is a professional in every aspect of the word. His thorough knowledge and investigative work ultimately saved my wife and I thousands of dollars by avoiding purchasing a money pit. I would strongly recommend the use of his services when considering purchasing a home. He takes the time that's necessary to evaluate everything and ( more importantly,) explain his finding to you. The inspector was very polite, courteous and educated in his work. Michael Christophides is a top-notch home inspector who clearly loves his work and loves delivering reports that are highly specific, comprehensive and full of detailed, helpful recommendations. Aside from his knowledgeable analysis, once he completed inspection, he then walked me through the entire house and explained every potential problem. He further offered informed theories about what might be causing defects and how to correct them. I was most impressed by this stage of the process because it was above and beyond and he remained on site, answering all of my questions until I was satisfied. Again, you get the sense that he loves his work and wants to deliver the best service possible. Granite Inspection Group did Radon mitigation for my home in November after I learned the levels were way above the normal range. From the initial meeting to the installation, Michael was incredibly professional and reliable. He was very thorough and patient, explaining every part of the process. Lisa was wonderful too, as she arranged the appointments and followed through on the lab results. We would highly recommend them to anyone needing Radon inspection/mitigation. Michael was great. I wish we'd hired him to inspect the house in the first place, but it's too late now. However, I'm very glad we hired him to do the radon remediation; he was very professional, and when he encountered complications, he dealt with them. He made sure to answer all my questions, and also pointed out an area that we should test that I hadn't thought about, based on the way the house was constructed. Michael did an amazing job explaining the entire process from start to finish on testing for radon, how it is tested, what the results mean and how to take care of it. After we had a remediation system installed I had an issue with it shutting off and he came to investigate. It was determined that the power outlet was bad. With a normal contractor they would tell me to get an electrician, not Michael! He showed up to my house and replaced the outlet and fixed it, explaining what the issues were. His dedication to ensuring his product works and customer service are amazing. I would recommend him to anyone looking for his services. Mike and Lisa are THE power team in home inspections. Mikes thorough inspection and exceptional reporting is second to none. He even gave me suggestions on how to make my new home even better. Lisa was also a pleasure to deal with in the office. Great communication and they went above and beyond the call of duty even weeks after the inspection. I can't say enough good things about Granite Inspection Group. Mike is very thorough, knowledgeable, and personable. Highly recommend! The inspector obviously loves his job! I am a state certified code enforcer and Granite’s inspector showed me things that I didn’t pick up on myself. I am impressed! I recently had a radon mitigation system installed by Michael Christophides of Granite Inspection Group. It was a very nice experience dealing with him. He answered all my questions, taking the time to explain the details and make sure you knew what he was going to do and what to expect after the work was done. The work was done as per the estimate with no surprises. I will definitely recommend Granite Inspection Group to anyone who needs radon testing or a radon mitigation system. Michael and Lisa made the experience relatively pain free. Scheduling the inspection was easy and the inspection was very thorough, efficient and the price was reasonable. The final report was very detailed, illustrating a few concerns that the homeowners were willing to address to close the deal. If I ever plan on moving again, I wouldn't hesitate to use Granite Inspection Group for the home inspection! Mike was personable and very thorough, answered all questions and concerns and gave some mini suggestions for easy fixes in home inspection that were labeled as "marginal". We will definitely be using Granite again in the future with a home we need inspected. His staff was able to provide me a quick response to emails and scheduling as well as questions regarding EPA guidelines for mold and radon testing. As prospective home buyers, we were satisfied with quality and service and would recommend his and use this service in the future again. Very thorough, friendly and informative. You can never go wrong with the Great Baldidni!! I was first introduced to Granite Inspection Group when I purchased my townhouse 8 years ago. Michael and Lisa made sure I got the earliest appointment I could get. He was so professional, honest and thorough and I felt he did an incredible job. Fast forward 7 years later. My husband and I were looking for a house and I knew I wanted to use Granite Inspection again. Lisa was incredibly helpful and accommodating when it came to my husband and mine schedules and did the very best she could to get us in schedule wise. We went through two houses that we ultimately backed out of because of his thorough inspections and eventually we found the house we are in now; of course inspected by Michael. I couldn't give a higher recommendation to the Granite Inspection Group. Michael and Lisa are a dynamic team and you can't find anyone more knowledgeable about homes, codes and radon than Michael Christophides. He explains everything to you in a way that is understandable and is incredibly personable. He is willing to share all he knows with you so that you make the best choice for you and your family. You won't regret hiring Granite Inspection Group; we certainly didn't and won't!!! Absolutely the best! Highly recommend. This was my first time purchasing a home and Mike and Lisa took care of everything. I had to use them twice. The first time Mike told me what to expect and gave me expert advice. If it wasn't for them I would be in a really bad situation. Lisa's customer service is exceptional. Friendly, professional, precise and fair priced, what more can you ask for! Courteous, professional, prompt and thorough. These guys did a wonderful job with our inspection, even taking the time to patiently explain and interpret any findings to us afterwards. Mike and Lisa are highly recommended for your next inspection. I cannot say enough good things about Michael and Lisa. Lisa coordinated with all parties involved to get our inspection done as quickly as possible. She is a consummate professional and gave us advice above and beyond what we could have expected. Michael really knows his business and took his time to look at all aspects of the home we wanted and then spent an hour walking and talking us through all of the details. He is not an alarmist but pointed out all the things that we would have to tackle as homeowners. We used Granite Construction on a home that we ultimately did not purchase and used Michael again for the house we eventually bought. I recommend Granite for everyone in the process of buying a home. Love them! Mike and Lisa are great to work with. I have used Mike for every house I bought. I have also referred his services to friends who were equally as pleased. Mike does a thorough inspection, takes a lot of pictures and educates you on what needs to be done to make the house right when a deficiency is found. He is also available to discuss anything regarding his inspection or your house years after the inspection is completed. I also used him to put in a radon mitigation system which was installed fast, clean and reasonably priced. I would recommend this company to anyone who is looking for a home inspector or radon system installation. I was able to schedule the inspection quickly and was surprised at the thoroughness of the inspector. He gave me great tips on how to fix the flaws and deficiencies found and to prevent others that may become issues in the future if left unattended. The inspector was very professional and knowledgeable and answered all questions. We learned the home we were to purchase had high levels of radon at the inspection and, after calling several different places, decided to with Michael at Granite Inspection Group. He did a thorough inspection, discussed our concerns and answered any questions we had, and did a wonderful job installing the mitigation system. Michael is a very professional and friendly person, it was a wonderful experience from start to finish. I would highly recommend Granite Inspection Group to anybody. Did quite a bit of research prior to deciding on Granite. My research included speaking with several different real estate brokers and home owners who previously hired Granite to complete their inspections. Everybody said the same thing.......Mike is very thorough and completes a detailed inspection. I can say I found Mike to be very professional. The man is extremely knowledgeable and took the time to make sure I understood his findings. He spent a great deal of time looking in all the nooks and crannies as well as obvious places. I would recommend Granite without hesitation. This by far is the best inspection I have ever experienced. Excellent! Very pleasant and knowledgeable. My inspector took the time to explain things and answered all my questions. They were awesome!!! Very knowledgeable, professional, clean,good price & did the job in a timely fashion. I would highly recommend them!!! If I ever plan on moving again, I wouldn’t hesitate to use Granite Inspection Group for the home inspection! What can I say...prompt, courteous, professional and that was Lisa at the office. As for Michael. I could tell immediately that this guy loves his job. He was very informative as to what my option were. Professionalism in his testing, using the latest in equipment. When it came time to have a radon mitigation system installed Michael was the guy. The instillation was clean, neat, functional. It looks like the system was always there. I would not hesitate to recommend the Granite Inspection Group to anyone in need of their types of services. Michael was VERY thorough and professional. He took a lot of time with us, discussing every aspect of the inspection, answering our questions, giving good information. He showed up on time and really knew his stuff! We highly recommend using Granite Inspection Group. Michael was a very helpful and friendly inspector. He did what he said he would and offered to give advice as needed in the future. I can comfortably recommend him as a home inspector. Granite Inspection is a pleasure to do business with. Both Michael and Lisa are extremely knowledgeable and do the most thorough inspection possible. I've used their services twice and highly recommend them. You'll be glad you tapped into that wealth of knowledge and sound advice. I hired the Granite Inspection Group for a house I was looking to purchase. They did an excellent job! Personable and very thorough. I plan on using them on all of my inspections in the future. Having discovered potentially higher than recommended levels of Radon in our home I sought out a local NYS certified Radon mitigation company. After researching several companies I decided to go with The Granite Inspection Group. Both Lisa and Michael are true professionals and take care to address customer needs. Additionally, during the installation process, Michael was very informative and precise in the system design and layout. Installation was completed within a day. I would highly recommend The Granite Inspection group for you Radon Inspection/Mitigation needs. They deliver the knowledge and integrity to ensure a “job well done” and peace of mind. When we purchased a house in Rhinebeck and knew that our Radon level was high, I searched out the Dutchess County approved Radon remediation companies. After looking at the websites I chose Granite Inspection Group based on the many accreditations, certifications, and experience of the company. When Michael Christophides came to our house for a first visit he was very interested in listening to our specific needs. We had a two section basement which both had unacceptable Radon levels. Michael was very knowledgeable about Radon; its causes, and different methods of removal. He carefully listened to and answered all of our questions. He suggested a way to remove our excess Radon and worked with us to design a system that would fit into our basement with the least possible interference in our living space. Michael returned and completed the work in one day and left the work areas clean. He then did follow up testing to make sure that the system was working effectively. I highly recommend Granite Inspection Service for any Radon Remediation. Home inspection with electronic radon detection and septic testing. Both Lisa and Michael were very pleasant to work with taking time to answer any questions I had. Michael was early for the inspection and took the time to show me each issue he encountered. The home inspection report was very detailed and well organized and was instrumental in bringing some of the bigger inspection issues to the seller's attention. The main reasons I chose Granite over other home inspectors in the area (most who are cheaper) was reputation based on user reviews and the fact that Michael is highly qualified, experienced, and is a certified radon testing and mitigation professional and uses an electronic radon detector. We used Granite inspection group for our radon remediation system. They were courteous, friendly and easy to deal with. They showed up on time and the work was clean and professional. After the installation of the radon remediation system the house was then re-tested for radon in the system work properly. Fantastic experience! Michael was very thourough, informative and personable. He took his time explaining every detail and went out of his way to ensure I was comfortable and educated with his findings. Although I did not purchase the home, I would certainly use his services again. Thanks again! Michael and Granite did a wonderful job on my inspection. They were immediately responsive to my request to schedule an inspection, and performed the inspection with haste. Michael was thorough and very clear as he walked me through the house and pointed out problem areas. I can't recommend them highly enough, as I have posted in other reviews. I’ve known Michael for 10 years-he was the inspector my realtor recommended when I was buying my house. He was thorough, knowledgeable and assisted me beyond what was expected. If it wasn’t for Michael insisting on having the radon tested on the ground floor rather than the first floor (which is what the homeowners wanted to do) I would not have known to have a mitigation system installed. Over the years I’ve been able to call Michael whenever I have a question or situation that requires a home expert opinion/advice. There is no other inspector I would use or recommend in the Hudson Valley! Granite IS as good as it gets. Lisa coordinates, sets up appointments and generally explains the whole process with infinite patience and grace. Michael does the inspections thoroughly, professionally and with a bit of a sense of humor. Both know their stuff and make this whole process as painless as possible. We should know, we had 3 inspections before we found the right house. Thank you Michael! Thank you Lisa! I am a first time home buyer and as all of you know the process is overwhelming. Michael took his time explaining everything. He answered all my question and made the process easy. Gave me great ideas and his report was very thorough. If you are looking for a home inspector look no further you will be very happy you called them. Stopped by his booth at the Dutchess home show. Spent time talking to us instead of "selling" us. We took advantage of Home show discounted Radon test and scheduled a test. He explained how things worked, left his equipment, and 2 days later picked it up. Very professional. Fortunately for us (not for him), we had a low reading, so nothing needed to be done. The bottom line is he was honest and didn't try to sell us something we didn't need. I respect that. Miachel and his staff were very knowledgeable in radon mitigation and took their time to explain every detail involved with radon and it's mitigation. I would definitely recommend Granite Inspection Group to anyone looking to decrease radon levels in their home. Thank you very much Michael! It's our first time to purchase a house. We're lucky that Michael from Granite Inspection did the inspection so that we found there's molding, radon issue in the basement and some other minor defects around the house. Michael is very professional, patient and friendly. He walked us through the house and explained everything we were not clear. The 40-page inspection report came out very quickly. The detailed report listed all the inspection items with photos marked with arrows to defects and explanations and suggestions to the problem. We learned a lot from Michael. We're very happy working with Michael, Granite Inspection. Highly recommend Granite Inspection to anyone who wants to purchase a house in Hudson Valley! Our home inspection in Beacon, NY was performed by Michael Christophedes and we couldn't be happier with the service. Mike is straight-forward, yet friendly in his approach. He had a ton of knowledge and great advice that extended beyond just saying what needed to be fixed and what was fine in the house. He really went nitty-gritty on the details in how to do a bunch of do-it-yourself improvements that aren't necessarily covered in a standard inspection, but do wonders in terms of setting up the long-term value of your house. I would absolutely recommend his services to anyone in need of a home inspection or any of the other services Granite Inspection Group performs. I was refered to Granite Inspection Group when I needed a home inspection done. There were very professional and they explained the whole procedure of what would be done. All questions were answered. Suggestions were made on simple fixes.I would recommend his company to anyone. As everyone knows, the process of buying a new home is more taxing on mind, body, spirit, and wallet than virtually any other undertaking. It's people like Michael (and Lisa, who provides fabulous customer service on the phone end of the business!) who make it so much easier. We have used Michael twice now for two different purchases, and both times he was nothing short of eminently professional and thorough--in fact, so thorough that you may leave your inspection overwhelmed with information (in a good way). Everyone has heard horror stories of inspectors who are lazy, ignorant, or downright unscrupulous, but Michael is none of these things. I couldn't recommend him more for anyone who likes to feel confident in at least one part of the process! We used Mike 10 years ago and thought of no one else to call when we moved to a new house! Very professional and offers great suggestions on how to make things more efficient in the future. I am a realtor servicing Westchester, Putnam & Dutchess counties in N.Y., as well as Fairfield County in C.T. I enjoy referring my clients to Granite Inspection Group because of their professionalism, respect, timeliness and excellence in service. I have recommended several other inspection companies in the past, but none have met the huge standards or personal services provided by Granite. Their good manners and work have been a positive reflection on my judgment in the eyes of my clients. Buying a home is already an intense process with lots of ups and downs. Working with Michael and Lisa at Granite Inspection Group was an absolute pleasure! Michael inspected the first home we were considering purchasing and after his thorough service, the report allowed us to make a very informed decision. Shortly thereafter, we called Michael and Lisa to perform another inspection at another prospective home. Michael is very personable, approachable, provides great detail and explanations regarding what he sees throughout the inspection. He explains in an easy-to-comprehend manner that won’t leave you googling definitions and is available for follow-up questions if needed. When the second home failed the 48-hour radon test, Michael didn’t hesitate to take time out of his day to explain to us what that meant and what would need to be done to remediate the problem. My husband and I have recommended Granite Inspection Group to friends who are looking to purchase a home and would use this company again in the future if we ever need it! As a first time home buyer, working with Granite was a great experience. Lisa in the office is very professional and helpful! Michael was amazing on-site and spent lots of time answering our questions. In fact, our first inspection with him revealed major problems and because of that we knew that it wasn't the right home for us. When we found another house, I called Granite right away knowing the quality of their work. He is great with older homes (we have a 300 year old stone house) and his written reports are easily interpreted and clear. Michael and Granite did a wonderful job on my inspection. They were immediately responsive to my request to schedule an inspection, and performed the inspection with haste. Michael was thorough and very clear as he walked me through the house and pointed out problem areas. Michael is as thorough as it gets, enthusiastic while doing so, and breaks everything down when explaining what he's found. I couldn't recommend him more! He even gave us ideas to improve the house we had inspected. Unfortunately, we didn't end up buying that particular house, but will be calling on him again for the next one. Michael was great! Extremely thorough and informative. Answered all questions and gave detailed remedies for any problems with house. Made me feel much more comfortable purchasing a house. Excellent & friendly service, highly recommended! As a first time home buyer and being very unfamiliar with this process. Michael and his team made the home inspection process very educational. He went above and beyond providing us with information about our property. I'd recommend Granite Inspection Group without hesitation! Michael was exceptionally helpful as our home inspector for a new build. We were initially unsure if we needed a home inspector for a new build, but after working with Michael we were very glad we made that decision. Michael came out twice, with no extra charge, because our builder did not have the home ready the first time. He identified many key structural concerns that were not identified by the town inspectors. Michael was available for repeated discussions. I believe we have a better home today because of Granite Inspection Group. Michael is Great! When we discovered a radon problem within our house I called Granite Inspection Group. Michael came over that week to talk a walk around the house and give me his plan for remediation. Michael spent the time to explain radon and what it is, how he would install his remediation system and how it would work and make my house and family safe. Michael is extremely knowledegable in the area of radon and can answer any question you throw at him. Michael came back himself to install the system and did a fantastic job. We were uneasy with the thought of radon in our house but after talking to Michael and having the system installed, we are more then happy. Mike made the whole process so easy and simple. I highly recommend Mike and his company. Michael has inspected several properties including my personal dwelling and investment properties. He has wide ranging and deep knowledge of structural, building materials and mechanical issues related to home inspection. 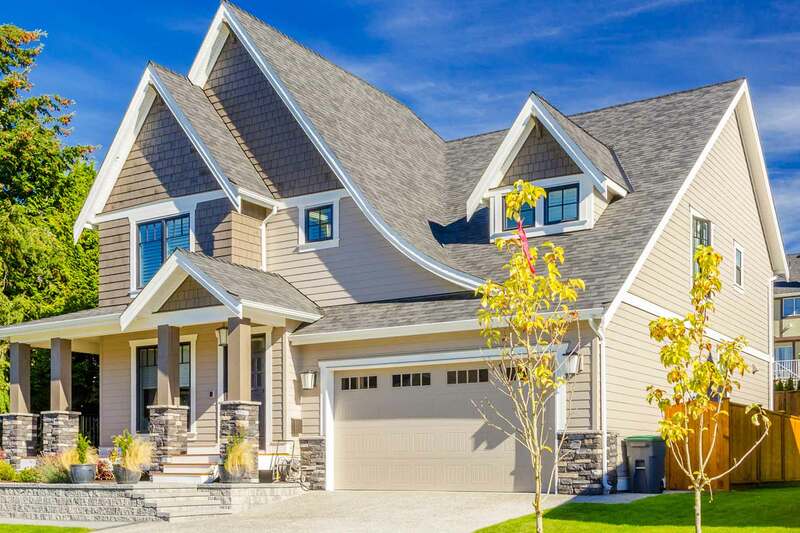 He has up to date information on newer and more efficient systems as well as drainage and landscaping suggestions to keep property in the best possible condition over time. He is quick and thorough, and was always early to my appointments to familiarize himself with the property. His report is incredibly detailed, not just the checklist I've seen with other home inspectors, and includes photos to specify areas of concern. I was successful in negotiating better deals every time with his reports to back me up. I recommend him most highly for home inspection and would use him again if I consider another property purchase. Great family run business.. from lisa answering the phone and emails always got back to you right away and makes you feel confident that your working with the right people. To Mike very honest from the beginning and very thorough work. I have used Mike for a moisture/radon problem. I found his inspection and remedies to be of great help. I recommended Mike to both my children, when they went to buy homes. Again in both cases his reports and solutions were immensely helpful. My husband and I were expecting our first child AND buying our first home at the same time. Michael was prompt, thorough and informative. He explained his findings in a way that was easy to understand and made the process enjoyable with his infectious personality. His wife, such a sweet person, was also very helpful withe the follow up – questions and scheduling. When our first offer on a home did not work out we called michael back for our second prospective home! We wouldn’t go to ANYONE else! Now my mother is purchasing a home in the area and there’s only one person I’m calling – Michael at Granite Inspection Group!! Granite Inspection Group is great! I used them when I bought my condo and more recently when purchasing my first house. Michael is extremely thorough and knowledgeable! My house also had a high radon reading and Michael installed the mitigation system. After installation the reading was still high. I had water leaking in the basement so Michael made some suggestions on how to dry out the basement before spending more money on the radon mitigation system. In the end, I had to have a second port installed, but Michael tried to help me out as best as he could to avoid having to spend the money on a second port. It is working great now. Also, Lisa was also so pleasant, helpful and efficient in answering emails promptly and answering any questions I may have had about upcoming appointments with Michael. I absolutely recommend them!! Buying a house is stressful enough without having to worry about all the possible things that could go wrong and that you are unaware of in the process. Especially, when this house is your first house, you are young and not experienced as you would like to be. 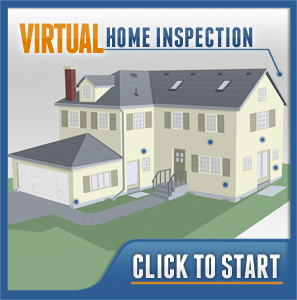 Getting the right home inspector really gave me peace of mind. Mike from Granite is tremendous and performed a full house inspection for me. To say he does a thorough job is an understatement. For me, it is all about the details, and the comprehensive inspection I rec'd I am grateful for as it helps determine many things one would not think about. Plus he has an award winning personality and welcomes any questions you have. To be able to rely on someone so experienced, who is honest and would answer your questions every step of the way was refreshing to see. I am very pleased and his quality is hard to come by now a days. He def has my approval and I would recommend him to anyone. Very professional and courteous. Took the time to explain in detail when I was confused. Gave a good presentation! A very honest and wonderful inspector! As always, Granite Home Inspection is the best! My wife and I have owned a house for over 50 years, now we plan to purchase a different house with an “as is” clause in the purchase contract. At the advice of our realtors, we engaged the Granite Inspection Group to inspect the house. This was the best investment we could have ever made. Mike, the co-owner, spent hours going systematically through the house.. He performed a complete check of every room (checking every light, faucet, drain and appliance), basement (plumbing, waste water pipes, electrical wiring, walls, furnace) and attic (floors, wiring, inside of roof) and much more. A few days after the inspection, we received his 47 page report with evaluations of over 100 individual items such as windows, trees, shrubs, wiring, roof, chimney, furnace, foundation, etc., the condition of each rated as “A” to “F”. The report also included over 70 pictures, each with red arrows, pointing out items of interest or potential problems. The biggest advantage of his inspection was the trust his piers (realtors, lawyers and bankers) place in his findings. A reputation he established over many years while working as an inspector. His thoroughness saved us thousands of dollars. Michael did a fantastic job on my radon remediation. He and Lisa are very communicative, he always showed up on time, he has a great product and the pricing is fair. What made me feel even better was when an electrician came to my house and saw the Granite Inspection sign and said, "you work with Michael. He's the best there is." I highly recommend. Mike at Granite Inspection Group was fantastic. He took took the task at hand (a pre-purchase inspection) very seriously and was a true professional. He arrived early, thoroughly did his inspection, and then spent a good deal of time walking around and pointing out to us each and every aspect that he looked over. A few days later we received a very detailed inspection report that helped to give us the information we needed to decide whether or not to move forward with our offer. Worth every penny, and I'd absolutely and wholeheartedly recommend him to anyone looking for a knowledgeable and trustworthy inspector. Thanks Mike! They were an awesome company...very knowledgeable & professional. They did a great job clean, efficient, punctual & a fair price. I would highly recommend them !!! If you have concerns about your health and the health of your family make sure you have a radon test in your home. If and when you decide to do that make sure you call Mike and Lisa at Granite Inspection Group. They are very professional, attentive, and appreciative for the opportunity to provide their services. Lisa in the office is quite pleasant and great at managing expectations. Mike on site takes the time to help you understand what is going on, why it is happening, and discusses possible solutions. After taking the time to understand my concerns we came up with the proper placement and system. The installation went in on time and within the estimate. After having the system up and running for a couple of weeks I was not happy with a little background noise I was hearing. Mike came out after my call and diagnosed a fix and took care of that as well. I could not have had a better experience. us know what might be a problem and what not to worry about. He was professional and offered good advice about how to proceed with any problems. Report came in a timely fashion. We were very pleased. We had a fantastic experience with Michael and would recommend his services to anyone. He was extremely professional and knowledgeable about radon and effective mitigation. He also gave us great advice about cost effective ways to reduce humidity (this compares to other people we considered who attempted to sell us expensive dehumidifiers). Highly recommend! Michael went above and beyond with his examination, explanation, and installing our Radon remediation. He was prompt, professional, and fun to talk to. He explained everything very clearly, was very responsive to our questions, and even gave us insight into our overall moisture in our house. His wife Lisa, who works in the office was also lovely. She was efficient, responsive, and extremely helpful. We are very pleased with the overall work! Mike did a great inspection for us - very thorough, very knowledgeable, very professional. Explained in detail - and in easily understood terms - his findings and maintained his objectivity. Would definitely recommend his services. Five stars from us! Wonderful experience all around! We had very high levels of radon in our recently purchased home, and after talking to several companies we went with Granite Inspection Group. Lisa was lovely on the phone, and Michael performed a thorough inspection where he explained the process, answered our questions and addressed our concerns, and he also did an excellent installation of the radon mitigation system itself. It was a stressful situation made unbelievably easy by the professionalism and attention that Granite Inspection Group gave us. Thanks again!! Mike from Granite did an excellent job in installing the radon mitigation system. He was on time and completed the job quickly. He also provided me with a full explanation of radon in my house, the workings of the system he installed, and gave me complete answers to all my questions. I would highly recommend Granite. The inspector did a complete and thorough inspection. He was helpful in determining the course of action to take to bring things up to code. Michael provides a professional, courteous service. He is knowledgeable and helpful. He provided us with valuable information and advice on home improvements, explained everything in simple terms, and answered all the questions. The report was very thorough and well documented. Both Lisa and Michael were a pleasure to deal with; personable, professional, and kind. Excellent service. Highly recommended. Michael (and co) were absolutely great. I had two other contractors come out to the house to assess and provide an estimate, and Michael was, relative to the others, so incredibly thorough and considerate that I had no qualms about hiring him on for the job. The job was relatively straightforward and done very efficiently and Michael made himself available for any questions and answered clearly and without convoluted BS. He was not only helpful in remediating our radon, but helped me understand and address other household factors that would both help the remediation process and insure that the mechanism worked as well as it possibly could. All said and done, I was happy to have Granite Inspection Group do our radon remediation. We contacted Granite Inspection Group for a home inspection for a home purchase. With my wife and I being first time home buyers we really didnt know what to expect. I called and made an appointment and had some questions. He called me back promptly and was very informative on all the questions I had at no point in the conversation did he make me feel like I was bothering him or asking stupid questions. So we scheduled our home inspection. Michael showed up and was very professional yet down to earth which put me at ease. He did the inspection while my Wife and I looked around the property and home. When he was finished with his inspection he took us room to room and explained everything in detail. I again asked him a lot of questions and again at no point did he make me feel like I was asking stupid questions. He was very professional throughout the entire home inspection explaining things to us that we wouldn't even think to look at ourselves. After walking through the home and having all my questions answered we talked a bit more and our inspection was over. My wife and I driving away agreed we both really liked him and the way he handled himself and our questions and would recommend him highly. We had all the main test done including Radon. About 5 days later we received the report. Now the report I got was very detailed with pictures, arrows, explanations and recommendations on home repairs. From start to finish he was a professional who made this stressful part of the home buying purchase that much easier. The seller ended up pulling out of our deal. We found another home and called Michael again for another home inspection. He was prompt on working with our schedule and again conducted the home inspection for us. Just like the first home inspection he was professional yet down to earth where I felt like I was talking with a friend. All in all he answered all my questions and then some and always made me feel comfortable. I would recommend him to anyone looking for a home inspector!!!! Five Star Service From A Five Star Professional! Michael installed a radon mitigation system for us. He is professional, courteous, knowledgeable, and helpful. He even gave us a few other home improvement recommendations that will help us in the long run. We are happy with our new system and it working well. Michael was very professional and thorough with our home inspection. I would highly recommend Granite Inspection Group to anyone needing a home inspection. His skills saved us from buying a home that would've cost us a fortune in repairs. He was able to inspect another house for us that is now our dream home! Thank you Michael and thank you Lisa, for scheduling our inspection so quickly!! My husband and I have had the pleasure of using Mike several times in the past few years. From the initial phone call to Lisa for an appointment, all the way to the final report, Granite Inspection is top notch. Mike takes the extra steps to inform you on many ways to improve your home or business. I would, and have, highly recommend his expertise. I’ve worked in this industry for over 20 years and it is with great confidence that I am able to refer Granite Inspection Group to my clients. With the level of professionalism and the thoroughness of the inspection, I know my clients are in good hands. Thank You! Well-informed, thoughtful analysis of houses. Clear explanations for assessment delivered in good humor. Michael and the Granite group did a wonderful professional job with our radon mitigation system. Michael scheduled an inspection to determine what was needed, showed up on time, gave a clear explanation of what was to be done and how it worked, and chose the optimal place for the system. Beyond that, he also made several simple and useful suggestions as to how to improve functions of some house systems and was a consummate professional throughout. The price quoted was the price paid and competitive, the system was installed as scheduled, is working perfectly and unobtrusive. I would recommend Michael and the whole Granite Inspection group to anyone who is considering having things of this nature done. It was a first class experience all around. Thanks Michael! Michael did a wonderful job when inspecting a house for us. He saved us from falling into a complete money pit. His inspection was thorough and he was able to answer any and all of our questions. Our house hunt continues, but we will definitely be using him in the future. I had a great experience with Granite Inspection Group! Inspector (Mike) was on time & personable. I am a first time home buyer, and did not know what to expect. He got started immediately, and once he was done, gave me a thorough tour of the property, pointing out the good, the bad and the ugly, and explained why they were so. He provided some recommendations for things that should be addressed sooner, as well as items that could wait. 10/10 would use again. Granite is so helpful every time I use their services. Michael and Lisa were very prompt and efficient in scheduling our appointments. Michael went above and beyond the radon remediation services he provided. I was in the process of purchasing a home that I rent, and as a home inspector, he pointed out some issues that I would not have been aware of. He was very thorough and efficient in his work, and gave me a lot of important and detailed information. He spent extra time counseling me on different aspects of the situation and possible remediations for things other than just the radon system he installed. I would use his services again and recommend him to others. Granite Inspection Group was excellent! Impeccable service! They were very quick, efficient, accommodating and professional! I would definitely recommend them and use them again in the future. The best part of my home buying experience was with Mike from Granite Inspection. He was very thorough and patient during the entire process. He sincerely cared about my family's well being in our new home and gave us peace of mind when purchasing it. He was very professional, but personable at the same time. I would highly recommend this company to any home buyer in the area. Michael recently installed a radon reduction system in my home following radon testing during the home inspection (also performed by Michael). Michael and Lisa are both patient, thorough, and professional. They work to make sure that all of your questions and concerns are addressed and you are satisfied. Thank you! Granite Inspection Group was excellent! Impeccable service! They installed a radon system in our house. They were very quick, efficient, accommodating and professional! I would definitely recommend them and use them again in the future. They are the BEST!!! From the time I spoke with Lisa on the phone to the time Michael was done with the inspection of a future purchase. They saved me money and headaches big time. I would highly recommended them for any inspection. He does the job and more. We decided to walk away from the purchase because the sellers thought everything was fine but it wasn't. Thank you Lisa & Michael for a great job well done. Call them and see for yourself! Granite IS as good as it gets. Lisa coordinates, sets up appointments and generally explains the whole process with infinite patience and grace. Michael does the inspections thoroughly, professionally and with a bit of a sense of humor. Both know their stuff and make this whole process as painless as possible. We should know, we had 3 inspections before we found the right house. Thank you Michael. Thank you Lisa. Let me first say that Lisa the receptionist, was a doll. She was able to accommodate my need for a home inspection on such short notice which was 2 Days. Any how, Micheal the inspector, arrived early and introduced himself to my agent prior to my arrival. After my arrival, Michael began to thoroughly inspect the home I was interested in purchasing. He took me from room to room, inside and outside of the home, and pointed out his findings and what was of concern to him. What I like most about Micheal is that he asked me my profession, (nurse) and broke things down in a way that was relatable to my field of work and understandable to me. Upon submission of his final report just 3 days later, Lisa followed up to inquire if I had any questions or concerns. Thankfully, I will be in my new home within weeks of the 2018 new year. As you can see, my experience with Granite Inspection Group was outstanding and I highly recommend their services ! My experience with Granite Inspection was great. This is the second time I have used the company for a potential home inspection and I have been completely satisfied both times. Michael is very thorough, knowledgeable and informative. Once he completes the inspection he walks you through everything that he inspected and explains it to you in terms you can understand. He answers any questions you may have and it straightforward about any issues he may see. His inspection report is well put togethr and detailed. I would completely recommend, and I have recommended Michael and the Granite Inspection Group to anyone who needs it in the Hudson Valley Area! Mike inspected a commercial building for us in April, spending over 3 hours going over every inch of the property. He was not only extremely thorough, but took the time to explain various materials, problem solve and advise on solutions to issues that came up during the inspection. His knowledge of materials and construction/building science ensured a well rounded and thorough written report, and left us feeling prepared with realistic expectations of the scale of cost and work ahead. We will certainly use services again when we turn our attention to buying a residential property. We met Lisa at the Home Show in March. She was very informative about radon and the procedure to correct it. She was very willing to work with our schedule to set up the testing and installation of the unit. Mike is professional, extremely knowledgeable, prompt and courteous. His work is neat and clean and he takes time to explain everything. Our experience was very positive and we highly recommend Granite Inspection Group for your radon remediation. Michael Christophides of the Granite Inspection Group did a stellar job of estimating, explaining and installing a radon remediating system that works perfectly. In addition, he is a lovely person to deal with, which means a lot when one is under pressure to get one's house in a 'sale-able' condition. Whats there to say .... 5 stars! Absolute pleasure dealing with Mike and Granite Inspection. Exceptionally thorough work, very good advice for a first time home buyer. Additionally made himself available for any future questions or recommendations. Definitely would recommend 10/10! Michael Was extremely thorough and answered all of our questions during and after the inspection. I would definitely strongly recommend Michael and Granite Inspection Group! Michael helps us to understand better all our concerns. He really knows his work, very pleasant person. And about the report very detailed. THANK YOU LISA AND MICHAEL WE ARE VERY HAPPY COSTUMERS!! Incredibly accommodating, professional, responsive, flexible, thorough, and willing to answer any and every question from two novice homebuyers. Michael made us feel safe and secure in understanding exactly what we were purchasing, both positive and negative, and turned what could have been a daunting day into an unbelievable learning experience. I have hired Michael and Granite Inspection Group twice over the course of the last five years, and both times I was very happy overall with the service provided. Michael does a thorough inspection, and provides a detailed inspection report with all relevant notes, pictures, and a rating of each item evaluated during the inspection. The report often contains suggestions on how to remedy any issue that is brought up. Michael is tactful in how the information is provided to his clients, ensuring that discussions regarding inspection results are done in private and away from realtors or other parties involved in the process. It is clear that he always has the client's protection in mind. In addition, at the office, Lisa made scheduling and the logistics around the inspection easy and painless. Granite Inspection Group charges a fair rate, and you will not be disappointed in the results. Michael did a great job installing a system and reducing radon levels in my house. He was straightforward and knowledgable and also had some useful tips about general home improvement. I would recommend his services to those in need of radon remediation. Where were you when I bought my first house! Amazing, Highly recommend. Michael and Lisa were consummate professionals and handled my inspections (and subsequent report) smoothly and quickly. They even returned to conduct an inspection that I needed (but neglected to order) with a cheerful and "no hassle" attitude. They created a thorough, easy to read report chock full of good information. They know what they are doing and it shows. There is only one Home Inspector to call and that's Granite Inspection Group! Michael and Lisa are the absolute best! We have called upon their services several times and they always exceeded our expectations. We hired Granite Inspection group to perform an inspection and radon test for a house that is 200 years old I was pleasantly surprised to see the care and attention to detail while performing the foundation inspection. Michael also took a lot of extra time to explain all aspects of the inspection so I would understand his perspective. This ensured I was able to make more informed decisions through my home buying process. This company offers the best value I could find and I highly recommend Michael and Granite inspection group. This was the most comprehensive detailed inspection and inspection report I have ever had. We received the inspection report in a timely manner with all itemized details in easy to understand format. This company exceeded our expectations and are the most professional inspection company I've ever had the pleasure of doing business with Thank you all so much for your prompt professional service. Great experience with Michael. He is professional and offers great advice during the walk-through to make your home more safe and efficient. I felt very comfortable with the inspector and the inspection. He also took his time in educating me about my concerns.